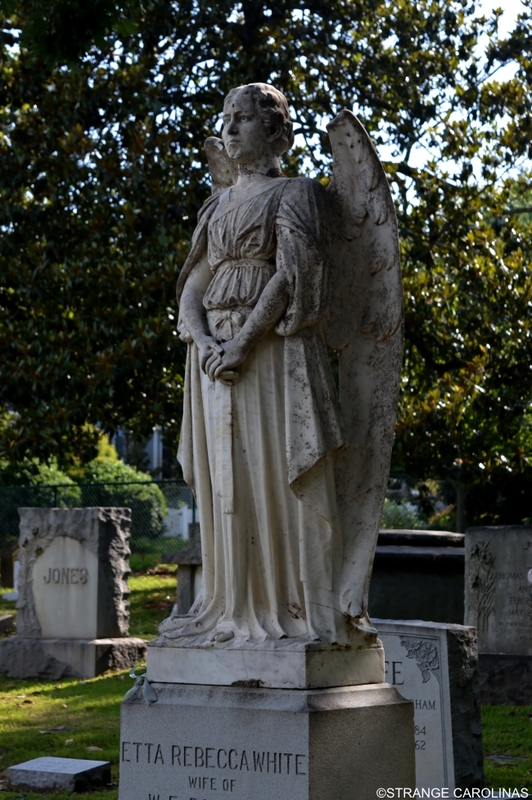 The Ratcliffe Angel stands over the grave of Etta Rebecca White Ratcliffe in Raleigh's Oakwood Cemetery. And despite the fact that she's made of stone, some people believe she can move. 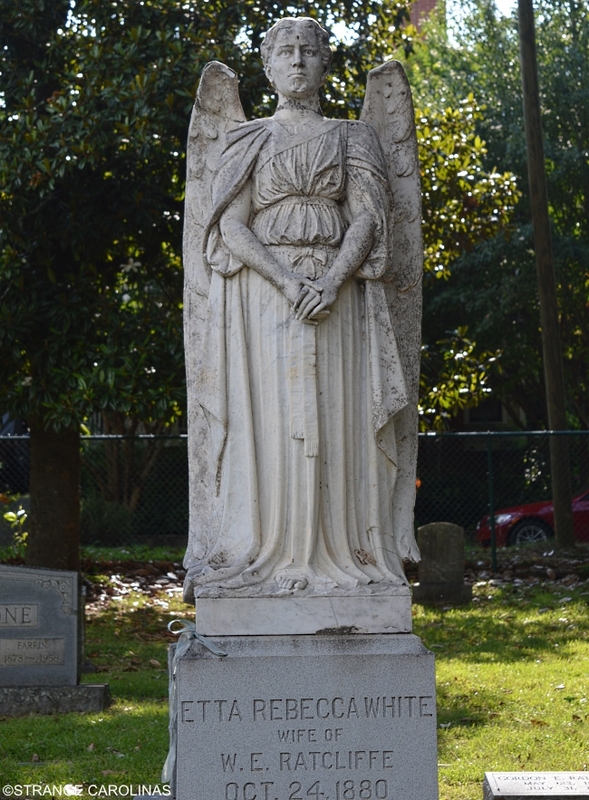 According to Candid Slice, the angel has been known to spin her head around a dozen times at midnight on Halloween. 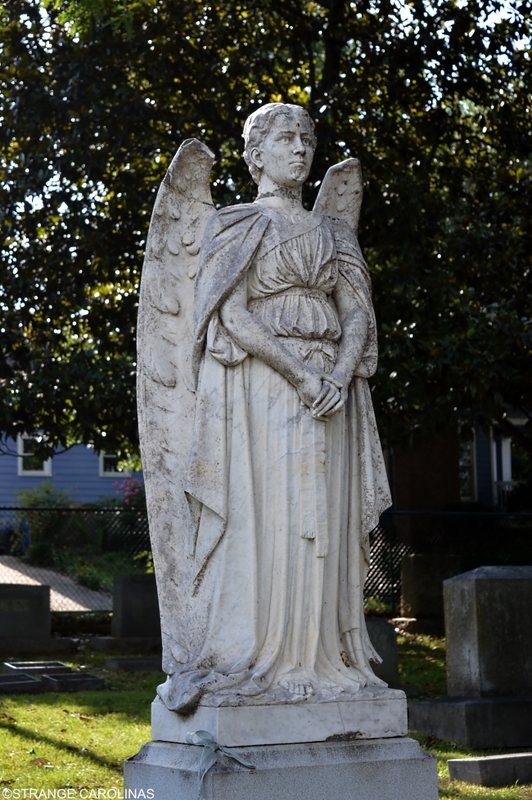 The News & Observer paints a different, but no more plausible, picture: the angel may turn her head your way when you visit her at night. And if she really digs you, you'll be treated to a flitter of her wings. "She came to Raleigh from Italy, ordered by Etta Ratcliffe's husband and knitting-factory magnate, William. But her ship foundered and sank off the coast of Wilmington, and the marble angel spent years underwater before a tender-hearted seaman plucked her out of the ocean." If she can rise from the depths of the sea, she can probably turn her head once a year on Halloween. We visited in the daylight, but nonetheless, we were not treated to any head turns, fluttering wings, winks, or smiles. Special thanks to the News & Observer's Josh Shaffer for his assistance with this piece.